Moncton's Mud City Meltdown is set to take over the Maritime city for its fourth edition this July, and organizers have lifted the curtain on on the musical lineup for their 2018 event. Headlining this year's fest are Canadian thrash metal icons Sacrifice, blues guitar star Matt Andersen and country rock mainstays the Sadies. Those acts are followed closely by Mountain Dust, Which Witch Is Which, Caroline Savoie, Kendra Gale Band, Quality Block Party, Spew and Piss Horse. 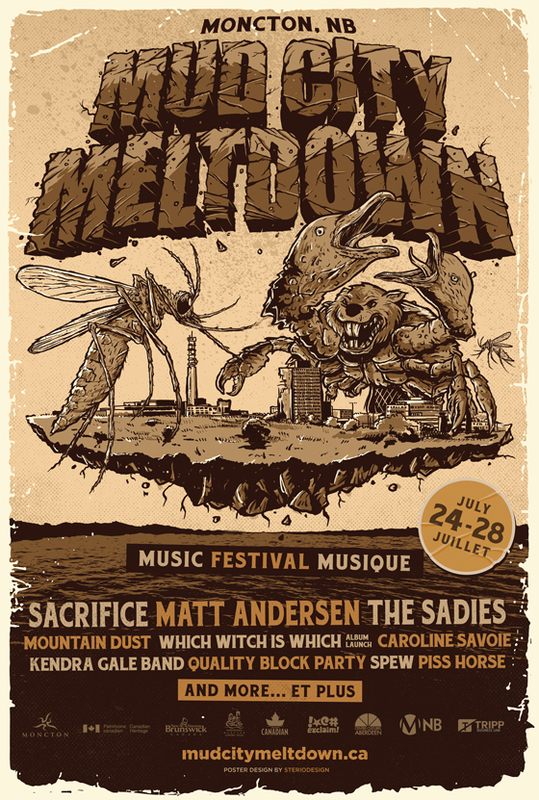 The 2018 edition of Mud City Meltdown will take place from July 24 to 28 in a variety of indoor and outdoor venues in Moncton, including Tide & Boar Ballroom, Central United Church, Victoria Park and more. Tickets and festival passes are set to go on sale Friday (June 8) through the festival's official website. Festivalgoers can keep up to date with further announcements, contests and festival news through Mud City Meltdown's social media channels.